Earlier this week I saw a link in Twitter to an article on Ilford FP4 Plus. I was attracted to the article - it was a couple of years old - because I had just shot my last roll of this film. I looked through the text by EM on Emulsive which, despite the publishing date, read as if it had been written yesterday. My two main aims on a pre-lunch walkabout of local streets were to take photos using the Nikon D850 and some complementary shots using film. I took over 170 shots on the Nikon and used 3 rolls of film. Many of the digital images were duplicates and burst shots, but I also often take two shots of the same subject when using film. Most of the DSLR output can now be found on Instagram. 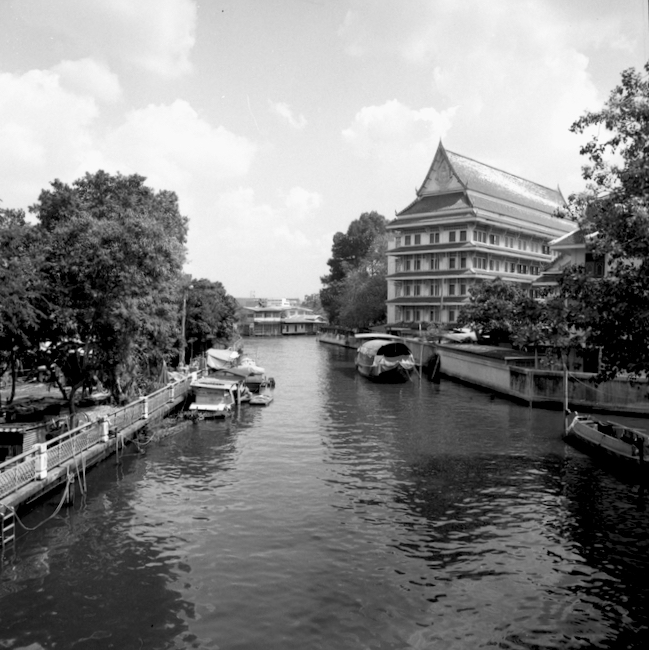 The Ilford FP4 Plus (ISO 125) and HP5 Plus (ISO 400) are fairly common here and there is usually also Kodak Portra 400 in the few stores that sell film in Bangkok. 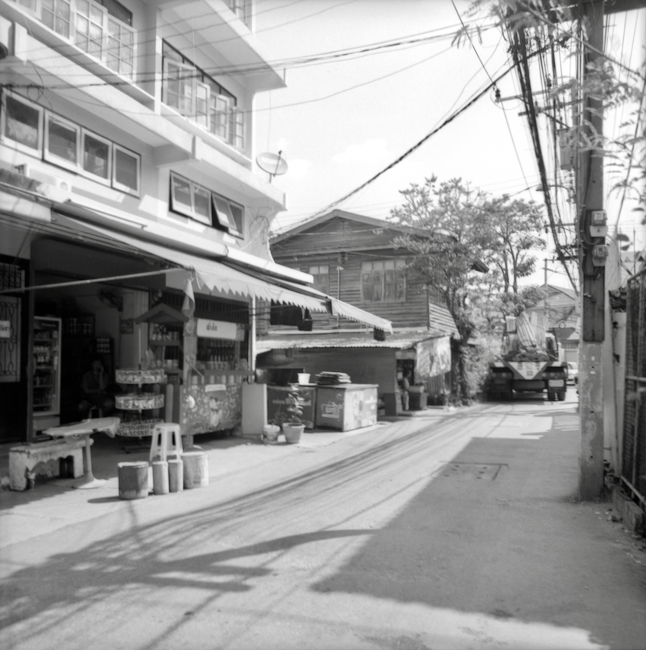 These days, because of convenience, pricing and store attitudes, I tend to buy my film online through, Camera Film Photo in Hong Kong. The choice of films is wider and delivery to my office only takes a couple of days. I started using this source when I followed a link, and saw they stocked Ilford PanF Plus (ISO 50). I had never used film with such a low ISO before so took gamble with 5 rolls. I was pleased with the results and have reordered a couple of times. 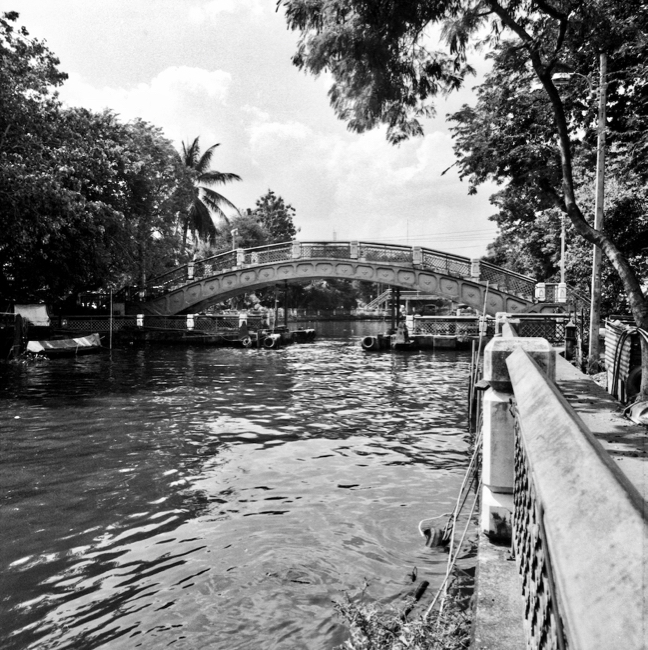 With that first order, I also tried some Rollei Retro 400s. Although it was also out of stock for a while, I have also bought Bergger Pancro 400 a couple of times and am pleased with the results although there is evidence of grain in some shots. 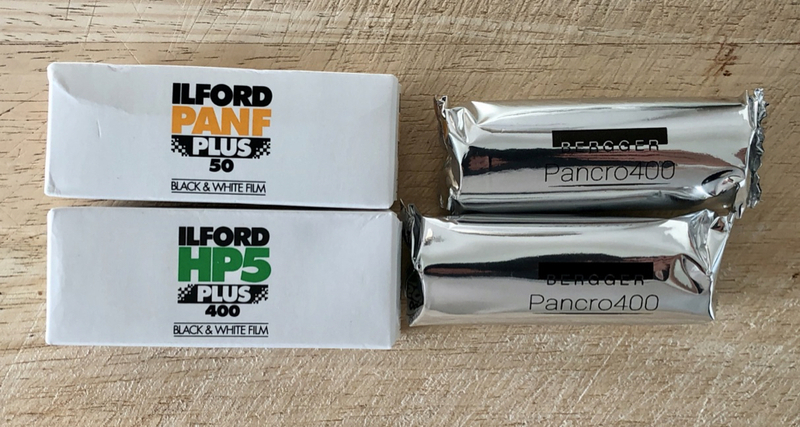 I had pre-loaded two film magazines with the Ilford FP4 Plus and PanF Plus. I started with the former. While most shots I took were with the Nikon (and a few with the iPhone X), I used film when I thought subjects or light conditions (shapes and shadows) were best for the medium. For settings, I take readings from the Pocket Light Meter app on my iPhone which serves fairly well, despite tut-tutting from a local expert. 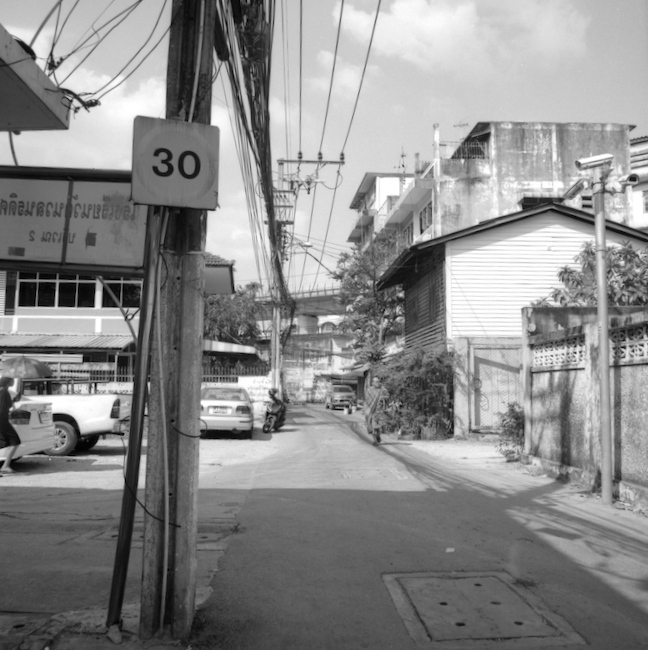 I changed the magazine when I found a coffee shop in the soi, then took a series with the PanF Plus. Light is generally good here, although some shadowy areas produced a couple of shots that were below par. 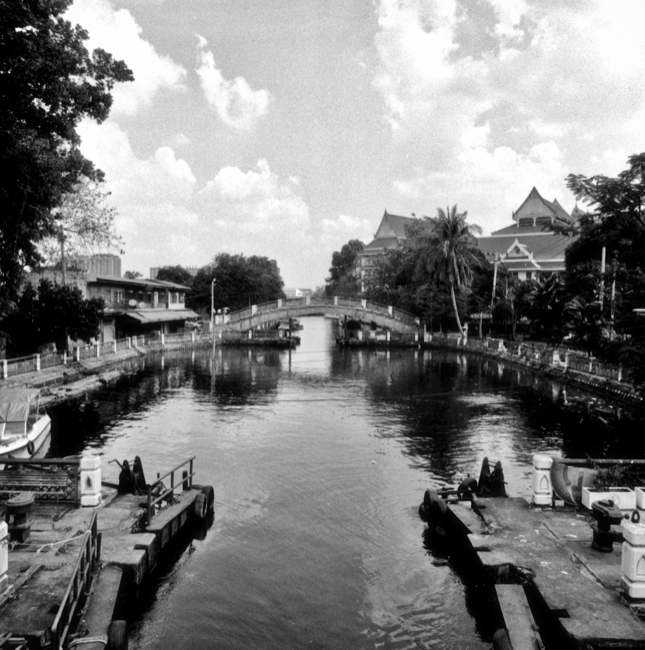 My interim destination was the canal at the end of the soi. I had seen a bridge across the canal in an Apple Maps satellite image. There are two: one decorated and one more utilitarian. 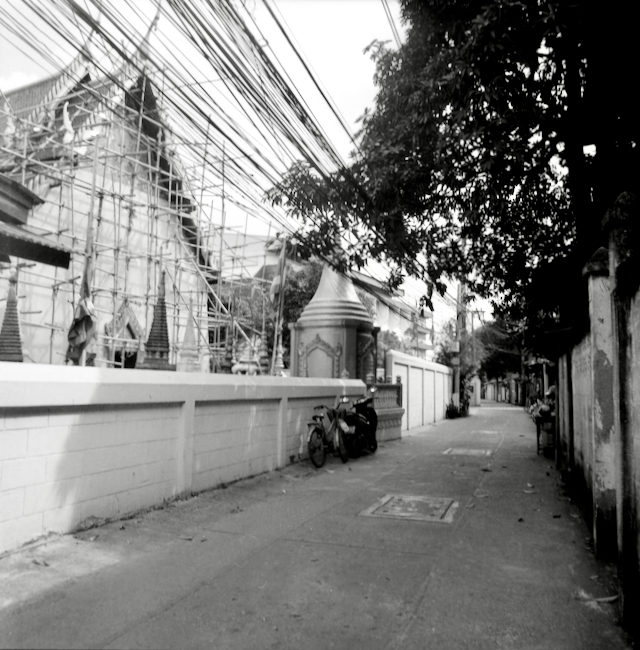 They lead towards an important temple, although I skirted this before heading down Toet Thai Road where I bought my lunch. 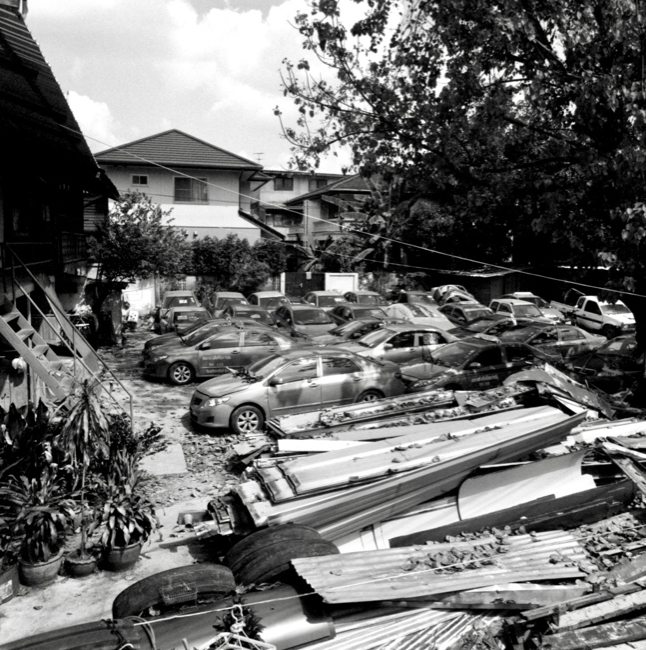 I dropped the film off at AirLabs in Sukhumvit 81 a couple of days later. It is a long way, but results are food and the staff are polite. It is also low-priced: developing the three rolls was 350 baht ($11). They will also scan the film although I prefer to do this myself. I use a Canon 9000 MkII scanner and Mike Hamrick's VueScan software. I like VueScan and its old-style interface. It was easy to set up, and on the odd occasion I use color film, it is easy to change the settings. So much software these days is overloaded with bells and whistles. 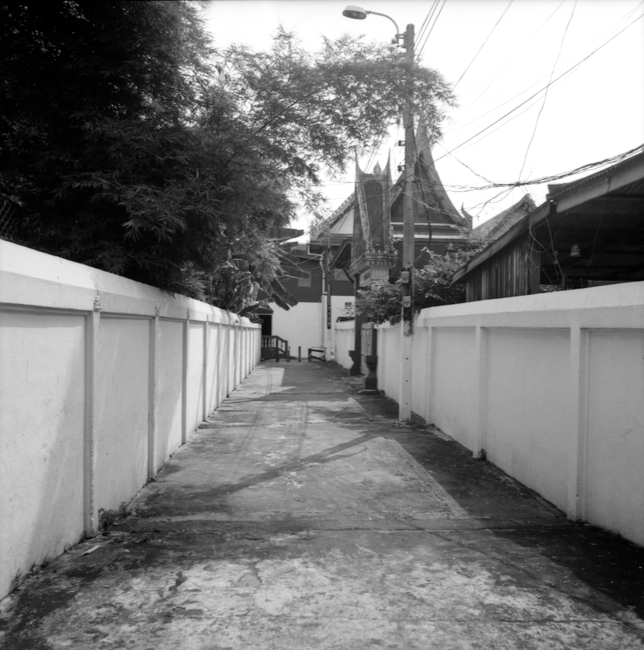 The Ilford film and the Bergger Pancro is thicker than the Rollei Retro film, which tends to curl when being positioned in the scanner. Some of the Lomo films I have tried here are also thin and have this undesirable property. The Rollei film produced good enough output as does the Bergger Pancro, but this makes Ilford and Bergger a better choice for my purposes. 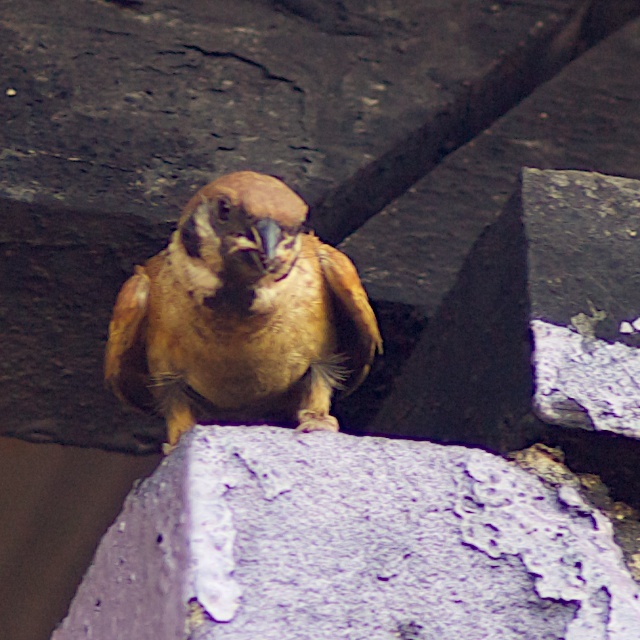 I drop the scanned TIFF images into Apple Photos. I use this for light editing and have several other applications for more heavy work. I do not use Adobe products at all. 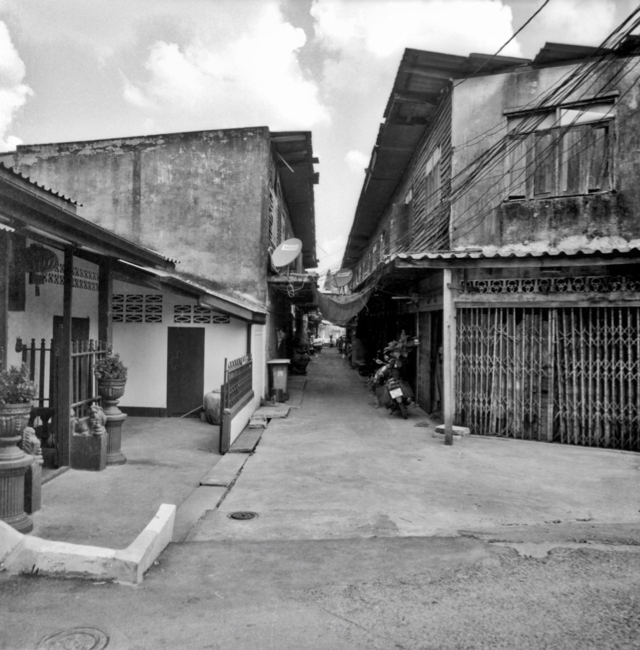 I also take advantage of Photos extensions, particularly Tonality Pro with its selection of presets. I usually find the effect I want, although I am sometimes surprised when I find an effect I did not know I was looking for. I store the original TIFF images on a WD My Passport SSD that connects to the Mac using a USB-C cable so transfers are swift. I also keep all RAW (NEF) images from the D850 on this disk. I have had the camera 8 months and the 512GB SSD will soon be full. I bought it for 7990 baht. The price has now dropped 2000 baht, but these disks are still expensive here, despite being made just north of Bangkok. Most of my output stays on my computer and is shared with my iOS devices via iCloud. 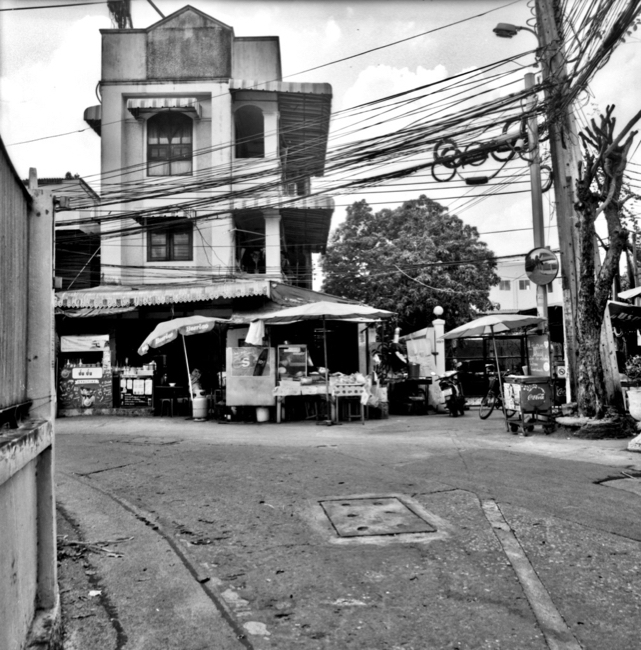 Some are sent to social networking sites like Instagram, but I also print some of the images. 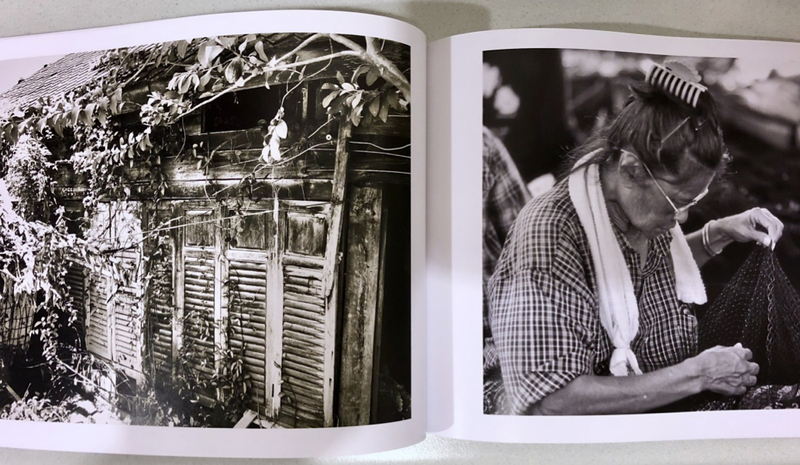 As Photos shares these scanned images to my iPhone through iCloud, I have also used Printastic (also on Google Play) to produce books of my content (DSLR, iOS and scans). These are mainly for my own satisfaction, but I have sent copies of my favourite images to my family who are not online.